Our restaurants are open daily from morning until late evening. You can choose buffet breakfasts, lunches and dinners and á la carte –menus, as well pizzas and children’s menus. Lumberjack traditions in a scenic lake setting! Every Tuesday around the year we organise Finnish traditional evening in a real lumberjacks’ lodge Jätkänkämppä and smoke sauna. 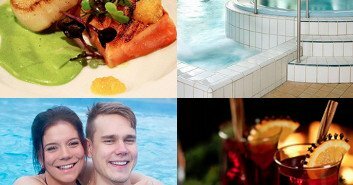 Enjoy traditional buffet with live acccordion music and bathe in the smoke sauna. In Rauhalahti you can relax with your friends in the pub / lobby café, in the summer terasse or in the pool bar.